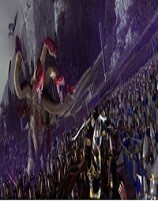 See them take on armies of Dark Elves and Lizardmen. We got some hands-on time with Creative Assembly's second foray in the Warhammer universe. Here are our biggest takeaways. Fantasy conquest and warfare in the Warhammer world is returning to PCs later this year.